I love everything about this print and what it embodies. It's fresh, colorful, fun and I cannot wait to hang it in my office! Be sure to stop by the SS Print Shop and grab one for yourself while it's still available :) Here are just some more teaser photos of the print as if the video wasn't enough! So fun! You girls are fabulous. I'm styling boyfriend shorts three ways in my recent video post, I'd love to hear your thoughts on my outfits! Thank you so much for joining us on this project!! You are the cutest thing ever, love you big! peonies are my favorite flowers! Loved the video, you were adorable! The print is so cute too! But omg do you mind sharing where you got that gold sequined hanger from!? so much fun! great work ladies!! lovely, really lovely! great job! You are crazy adorable in this video! 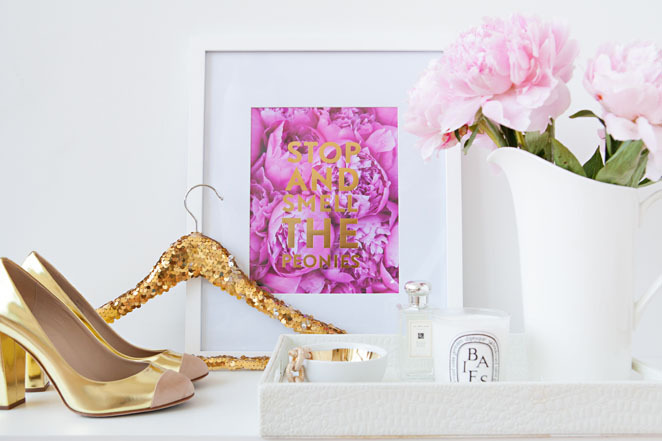 I love Anna and Stephanie's work and this print is perfection! 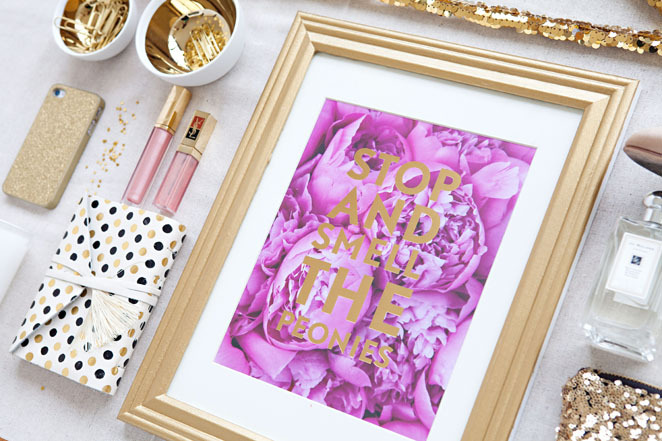 mmmm.. peonies.These photos are amazing! The video is so adorable! Love the print and I have those gold shoes!! I love this collaboration, the video is so great! Krystin you are SO CUTE! This video is perfection. I'm OBSESSED with the video Krystin! Love the sweet print and you're so darn cute on that bike. Aw, that video is SO CUTE! I love it! And I love this print! Oh so pretty.